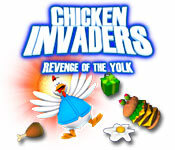 Chicken Invaders 3 is rated 4.3 out of 5 by 6. 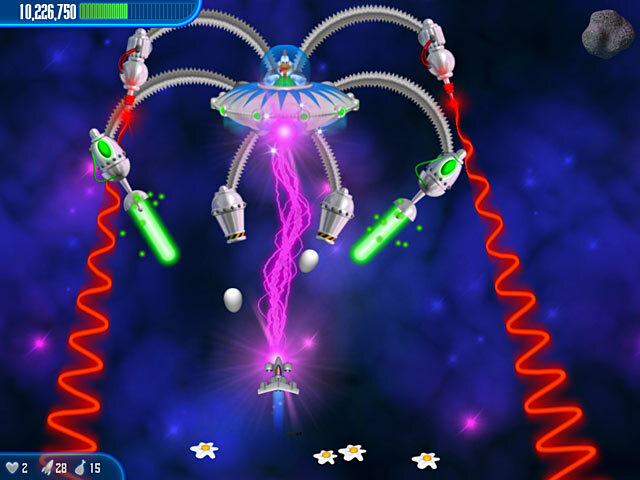 Rated 5 out of 5 by Pyroscorer from Fantastic tongue-in-cheek shoot-em-up game with bags of repeat play potential This was my first exposure to the Chicken Invaders series, and I was hooked from the start. 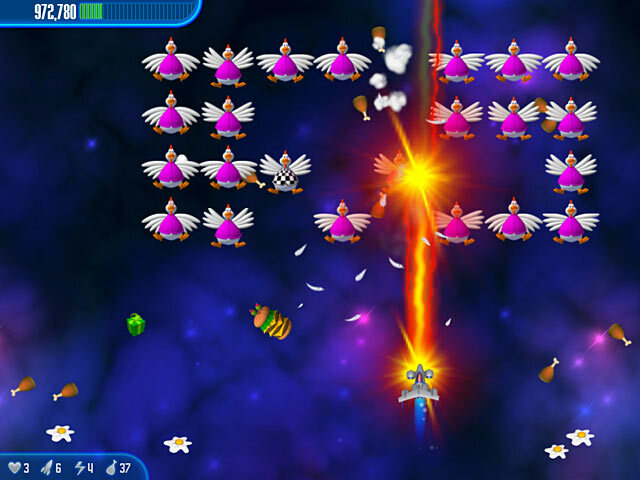 While the underlying game play is very similar to space shoot-em-ups of the past, from Galaxians onwards, the over-arching Humans vs Chickens plot line adds a brilliant level of fun and humour. Instead of weird-looking aliens, the "bad guys" are fluffy looking chickens, who squawk and squeal when shot, with feathers flying and rewards of drumsticks and chicken burgers raining down to be collected. There are hundreds of levels, set in banks of 10 with boss levels at the end of each bank. After each boss level, there are story scenes with really witty narrative, all in a cartoon style. The game play is challenging, but not too hard, with level settings allowing people of differing abilities to still have fun. All in all, this is a cracking good game, and that's no yolk! Rated 5 out of 5 by floppyman from Best Game One of the cutest and quality game i played after a long time. Rated 5 out of 5 by aleem1999 from One of the best PC games ever One of the best PC games ever. absolutely loved it! Rated 5 out of 5 by Sookram from Love this game! I had a lot of fun with this game, and so did my son! I recommend it highly. 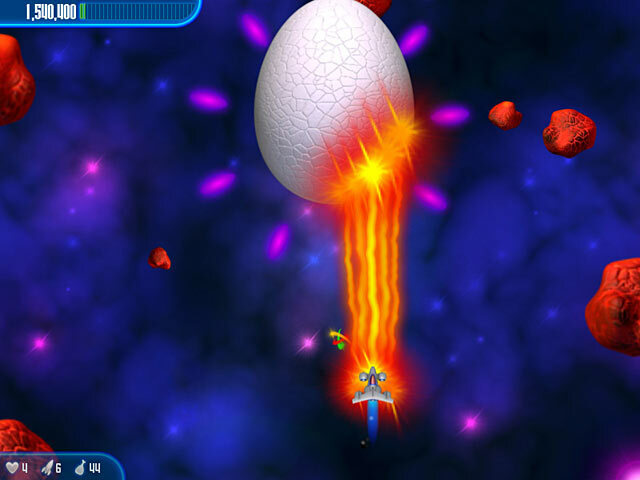 Rated 1 out of 5 by BlueSkunk12 from Egg on my face Every time I hit an egg, my ship eggsploded. And there were a LOT of eggs. I lasted 4 minutes before uninstalling the trial.